The governor of Hawaii has declared a local state of emergency in the vicinity of the Mount Kilauea volcano following an eruption yesterday on the state's Big Island. Dramatic video footage of the eruption showed plumes of magma shooting into the air, while lava poured from a fissure that opened up near a residential area. Hawaii County Civil Defence has ordered mandatory evacuations of several subdivisions near the volcano, including Leilani Estates, Makamae, Ho'okupu, Kaupili, Mohala, and lower Leilani Streets down to Highway 132. Upwards of 1700 residents live within the immediate evacuation area, reports Hawaii News Now, but more than 10,000 people live in the vicinity of the volcano. Governor David Ige has responded to the eruption by signing an emergency proclamation, releasing disaster funds, and calling military reservists from National Guard to help with the evacuations. A local community centre is now serving as a shelter for evacuees. The eruption is not a complete surprise given the events of the week. 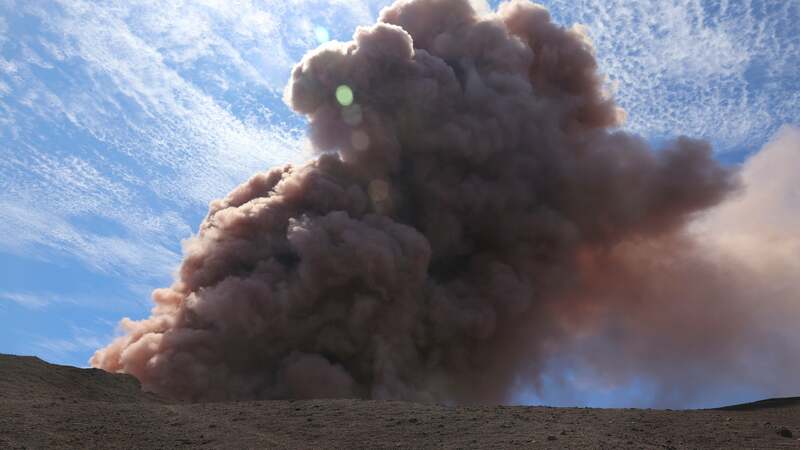 On Monday, the volcanic crater vent Puu Oo collapsed, sending lava pouring down the volcano's slopes. Hundreds of small and seemingly endless earthquakes rattled the area all week, the strongest of which reached a magnitude of five. On Thursday, starting at around 4:45PM local time, the Mount Kilauea volcano began to erupt. 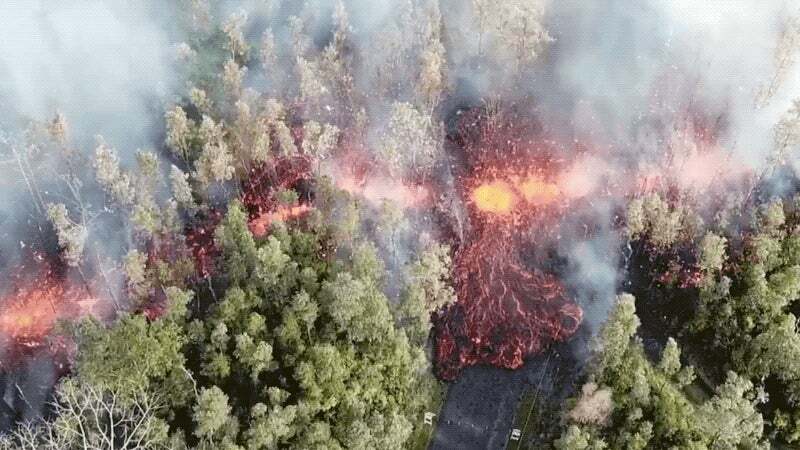 A fissure measuring about 150m opened up, producing lava spatters and intermittent bubble bursts for about two hours, according to the US Geological Survey. Lava that reached the surface torched several trees, but it did not spread more than a couple of metres from the fissure. The eruption stopped at about 6:30PM, and as of this time the fissure is not erupting, nor have other fissures been reported. Geologists have been sent to the site to investigate, and other scientists are monitoring the situation remotely. "The opening phases of fissure eruptions are dynamic and uncertain. Additional erupting fissures and new lava outbreaks may occur. It is not possible at this time to say when and where new vents may occur," warns the USGS in an alert. "Areas downslope of an erupting fissure or vent are at risk of lava inundation. At this time, the general area of the Leilani subdivision appears at greatest risk." The Leilani Estates subdivision is located about an hour away from Volcanoes National Park, and it's situated within the lower East Rift Zone of Kilauea, one of the most active volcanoes in the world. Footage of the eruption showed lava spewing from the fissure, with trees burning and smoke billowing near the crack. Local residents reported "fountains of lava" spewing upwards as high as 100m, reports AFP. White, hot vapour and blue smoke could be seen in the eastern part of the Leilani subdivision, while dangerous levels of sulphur dioxide gas was "quite noticeable around the fissure, typical of active and recently active fissures," reports the USGS. Things have settled for the moment, but residents of the Big Island are being told to monitor the situation closely should that change.